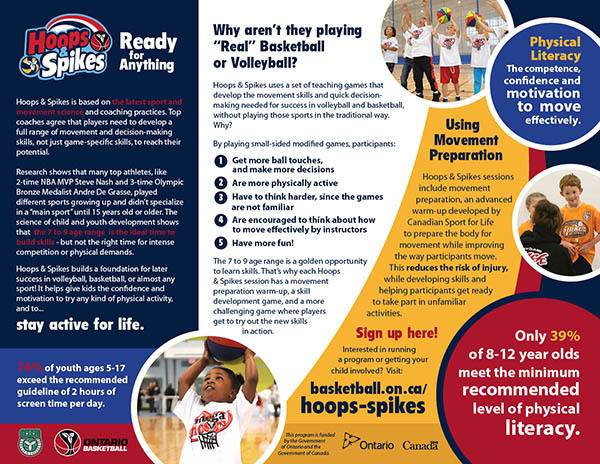 Two big sport worlds collide for this exciting new youth provincial program called, Hoops & Spikes. We designed their new logo in 2016, and were excited to be asked to help grow their program further by developing new support collateral. 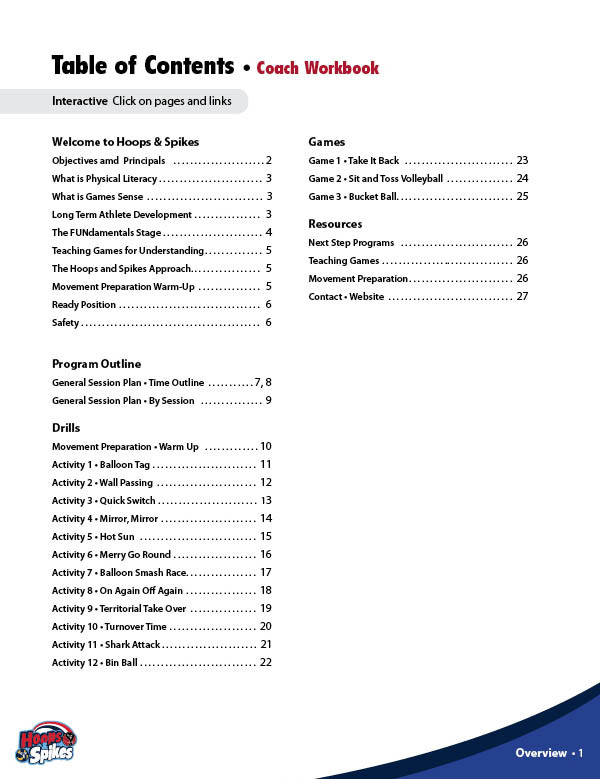 This included a Parent Education Guide and an extensive Coach Workbook; 28 pages of program info, drill plans, diagrams and interactive links to YouTube videos and resources. Quite the fun projects! 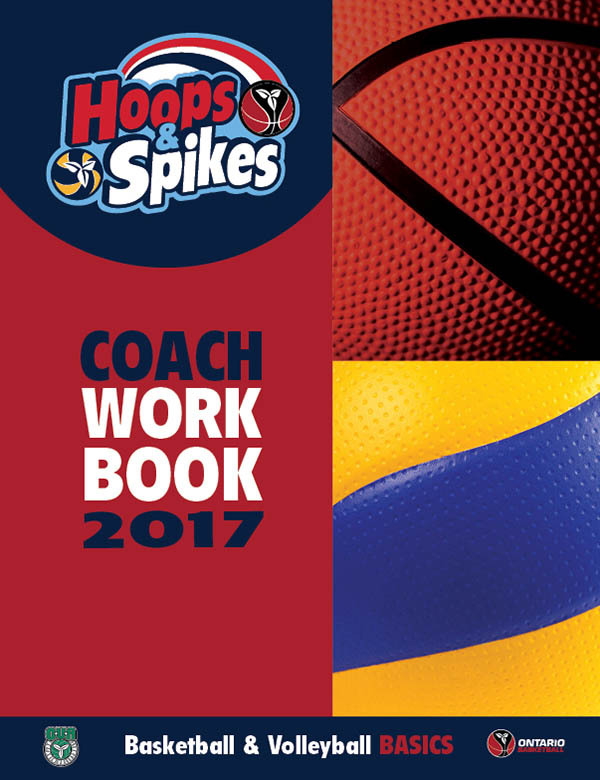 The target market for this program is ages 7-9 years olds. We kept the look bright, bold and playful, yet professional, to match the energy and styling of the initial logo and branding. 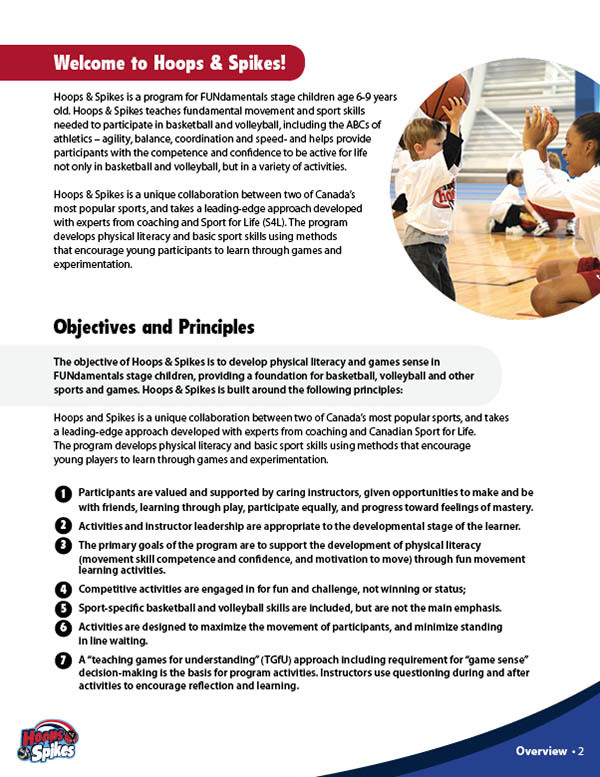 Hoops & Spikes program was developed with experts from coaching and Canadian Sport for Life. 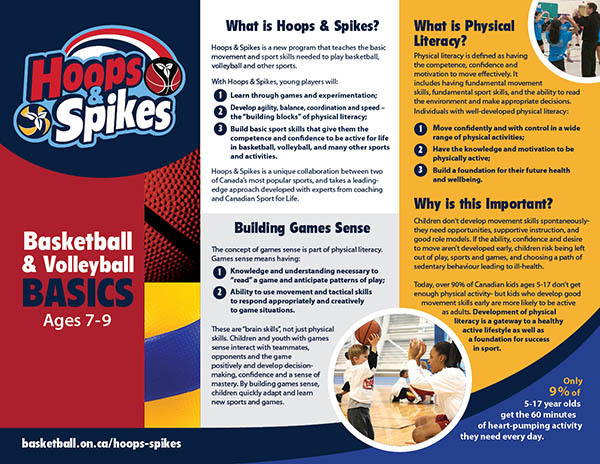 It teaches children the fundamental skills needed for basketball and volleyball, including the ABC’s of athletics – Agility, Balance, Coordination and Speed. 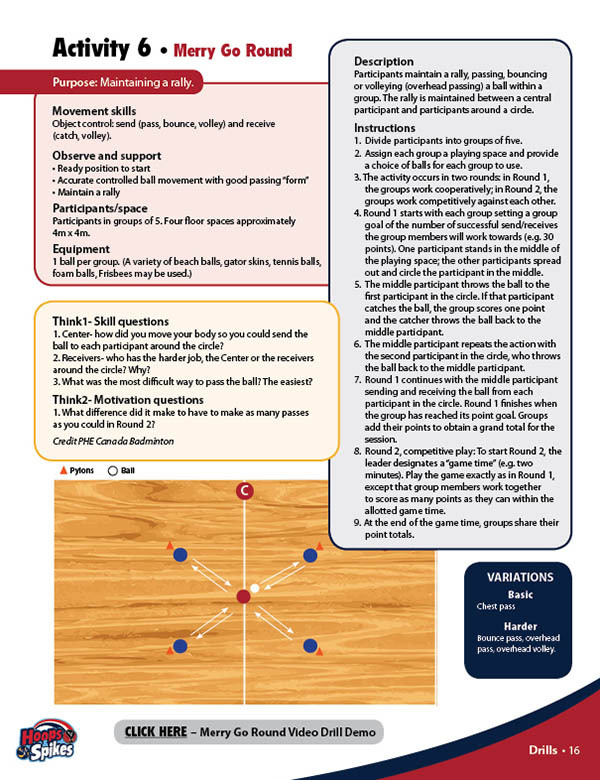 It also develops physical literacy that encourages and teaches young players to learn through games and experimentation. I love the Guide – I think it’s great! I read through everything and I think that all of the language is perfect and that the colours and lay-out look great. Thank you!